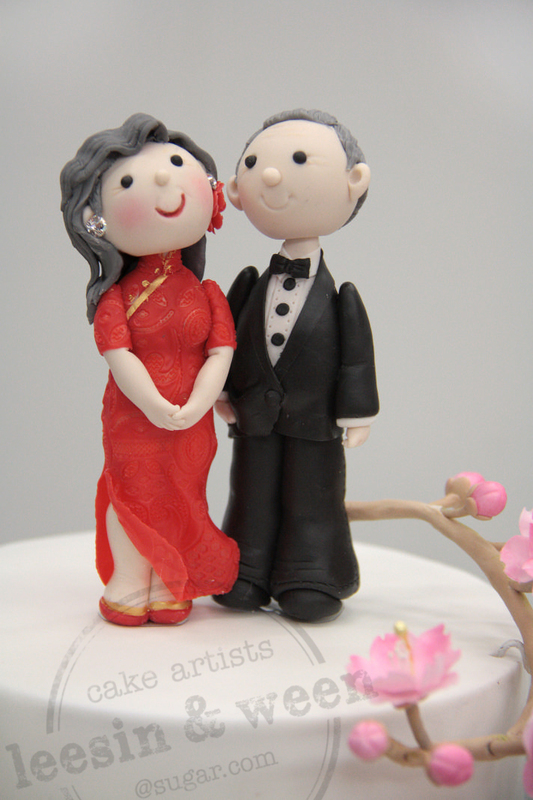 Commissioned by the children of the elderly couple for their anniversary. 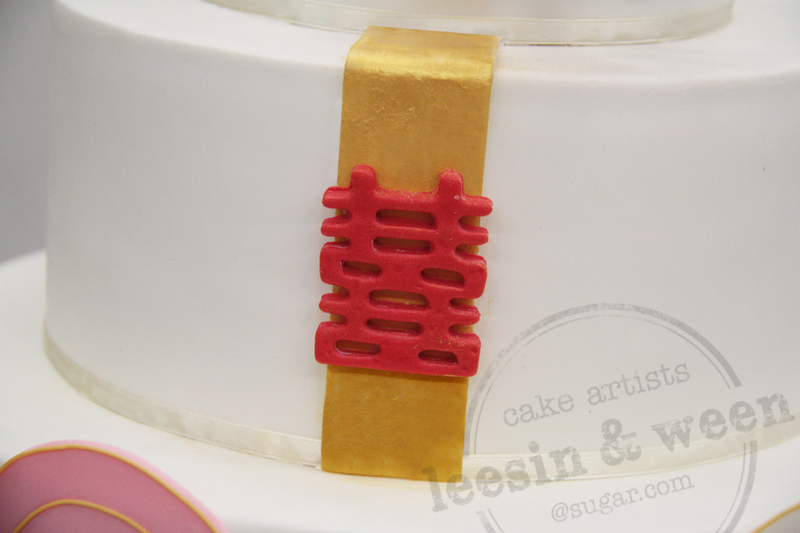 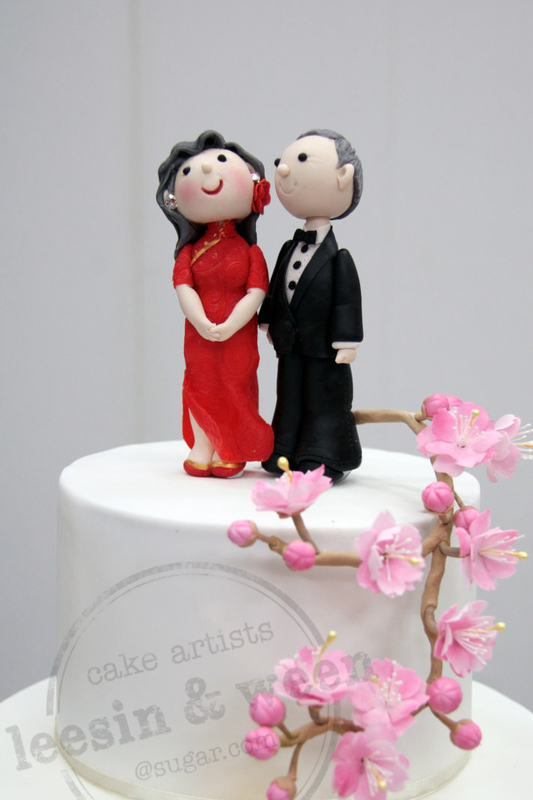 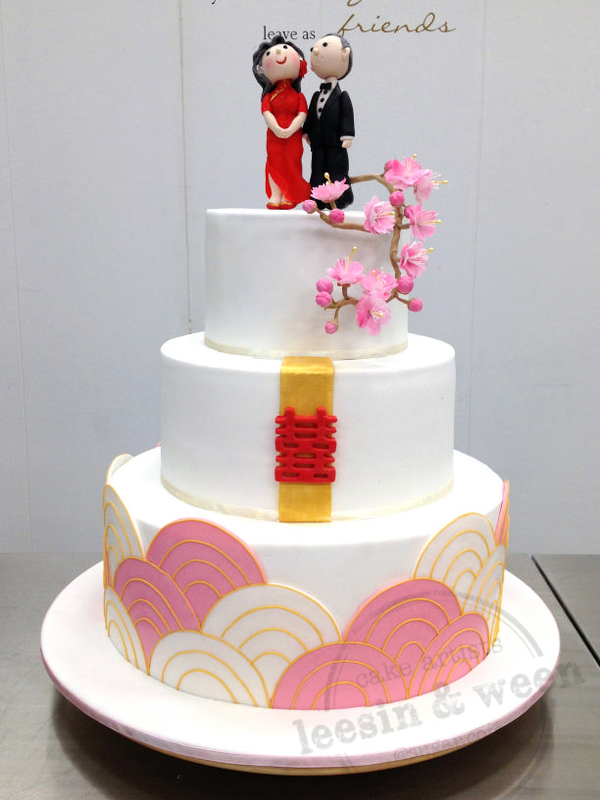 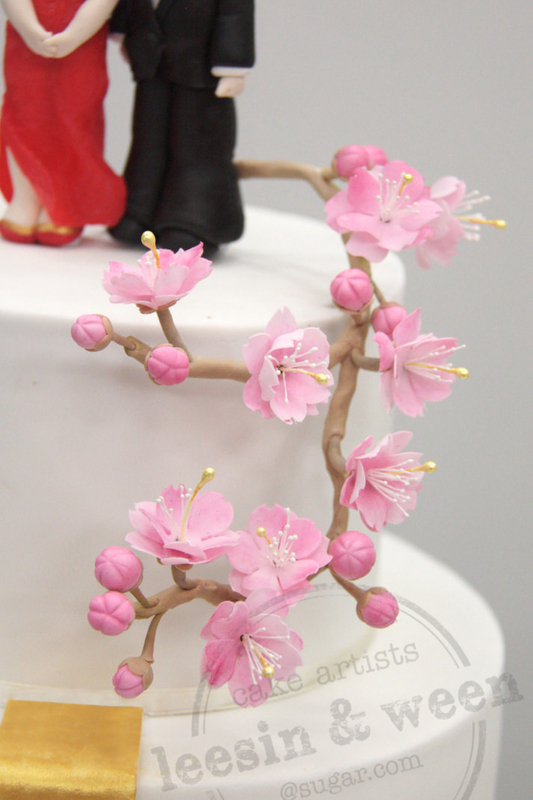 The cake is inspired by their invitation card with Japanese and Chinese influence. We decided to make the figurines in clay so that the couple can keep them....like forever. 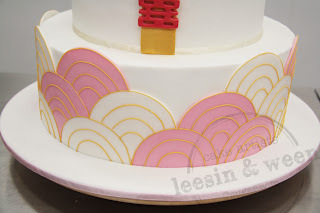 The 'wave' design took us ages to complete. 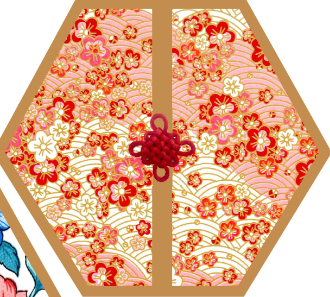 It was painstaking. Every line was put up one by one and making sure the curve is smooth....and our 'glue' not seen. 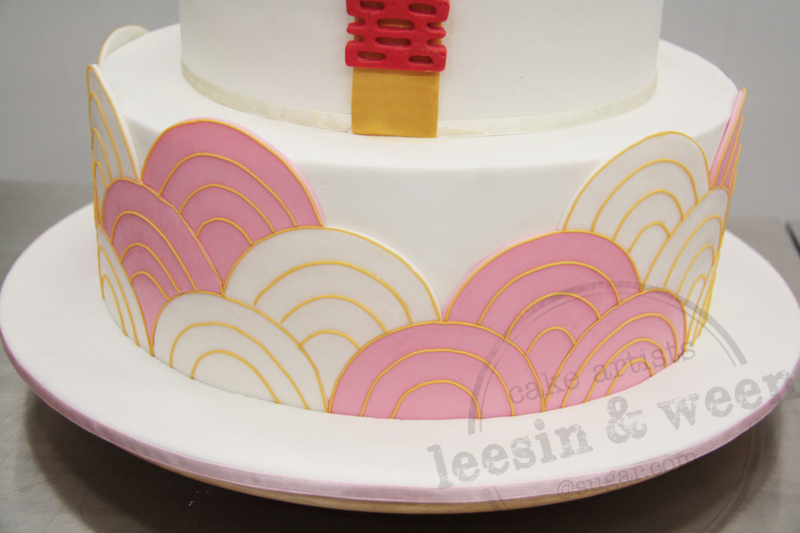 But if you were to ask us to make another cake with the same wave design...we will NOT hesitate. The effect is so so stunning. Agree?